Are you considering hiring your standard heating and cooling contractor when installing your new wine cellar? STOP RIGHT THERE! Wine cellar cooling units are not easy installations. You must work with a specialist who understands the nuances of installing wine cellar cooling systems. Here in the Los Angeles and Orange County area, with temperatures fluctuating into the very warm side of the gauge, wine cellars can enter a range that is downright dangerous for your wine collection. Improper cooling units, installed by a novice, can put your valuable wine collection at risk. 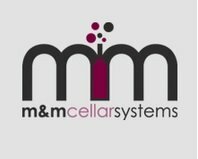 FIND out why you need M&M Cellar Systems to install your beautiful wine room cooler and climate control system. Very often we are asked to do installations of cooling units for wine cellars here in Orange County and Los Angeles, and we’ve seen mistakes done by previous contractors. Very often homeowners, and even commercial property owners, think that they can just buy a wine cellar refrigeration unit on Amazon and then hire the cheapest air conditioning technician they can find. This method often yields DISASTER! Wine cellar refrigeration is not your average climate control system. It is high tech; it is specialized; it requires real expertise from a contractor who understands what he or she is doing, or you risk losing your entire wine stock. This commercial wine cellar in Los Angeles is able to preserve wines effectively, because it has a dependable refrigeration system installed. Learn more wine cellar cooling equipment installation projects by clicking here! A cooling unit is a very important aspect of a functional wine cellar. Wine storage cooling equipment are designed to provide cellars with the optimum temperature of 55 degrees Fahrenheit and humidity of around 70%. A quality refrigeration unit can keep the climate conditions in the cellar at the ideal levels with minimal fluctuations. If fluctuations do occur, it should be no more than 2 degrees in a 24-hour period. These specifications in temperature and humidity levels exist because wine is a very sensitive beverage, and if it is stored in conditions that are outside the ideal, it can easily spoil. There are various factors that can affect the function of a cooling system, such as the size of the wine cellar, the available electrical supply, the heat load inside the room, etc. To keep wines safe, it is imperative to choose the right piece of equipment for your cellar, and make sure that it is installed correctly. The average heating and cooling contractor is not trained on how to properly install wine room coolers. Only a wine storage specialist is skilled in the correct installation of various types of cellar refrigeration systems. They are also proficient in the storage needs of wine, and so they are aware of the specific requirements to preserve the quality of wines. M&M Cellar Systems has a team of wine cooling experts that are ready to assist you. Determine the appropriate wine cellar refrigeration system and make sure it is installed correctly. Call a specialist now! Each wine cellar in Los Angeles and Orange County needs a different piece of cooling equipment, depending on various factors. To effectively keep wines safe from spoiling, the appropriate refrigeration unit for a specific wine cellar has to be identified. Wine cellar cooling experts know how to determine the right refrigeration unit for any wine room. There are many considerations when choosing a cooling system to install, such as size of the room, power consumption, warranty, noise, and installation. M&M Cellar System’s HVAC technicians are well-trained in selecting the best cooling unit by determining the precise dimensions of a wine room, calculating for the heat load in a storage space, estimating the power consumption, etc. They are also skilled in installing cooling equipment properly. 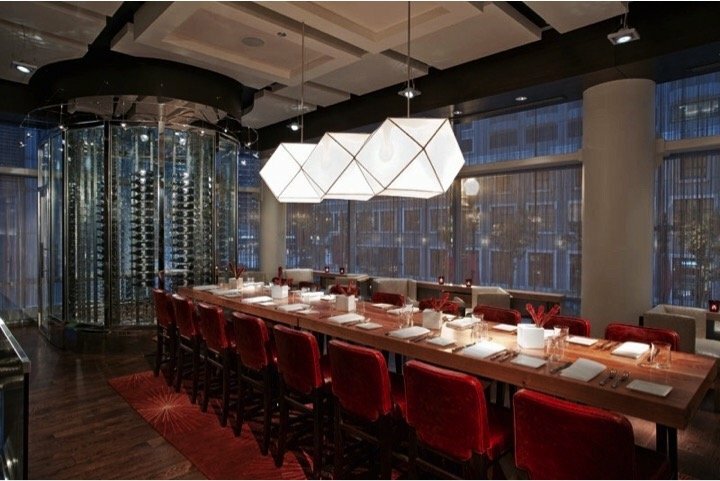 Commercial wine rooms and displays like this need specialized installation. 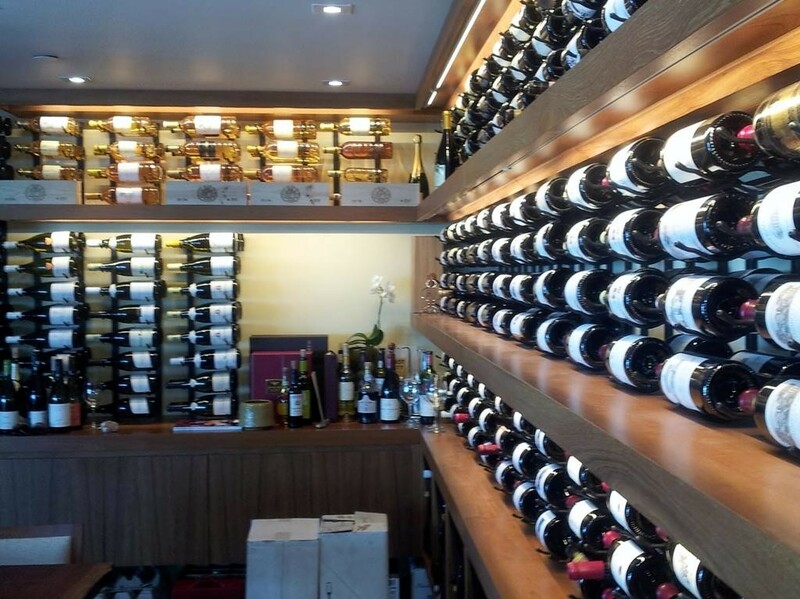 Contact an expert wine storage specialist in Los Angeles, California today! Click here! Insulation ensures that the coolness that the refrigeration unit provides is constantly kept in the ideal level. It is imperative to place sufficient insulation in a storage room before a cooling unit is mounted. The interior walls of a cellar should be covered with a minimum of R11 insulation, while the outer walls should have at least R19. The walls, ceiling, and the flooring of a wine cellar should contain vapor barriers. A vapor barrier is made of polyethylene plastic sheeting, which is a water-resistant, flexible, and durable material used to prevent water vapor and moisture from condensing on the cellar’s wall, ceiling and floor. Vapor barriers are necessary for the cooling unit to effectively maintain proper humidity. A cellar’s cooling system should run on a circuit separate from the electrical line for the lights and other appliances. Otherwise, the wine room cooler might under-perform, and the risk for tripping the circuit breaker will increase. The processes of evaporation and condensation are involved, in order for cooling units to regulate humidity in a wine cellar. To make sure that there is no water damage to the walls and other parts of the storage room, the refrigeration system should be connected to a drain line. Failure to prepare a drain line can lead to mold formation, which can contaminate the wines. A wine cellar cooling expert in California, like M&M Cellar Systems, can help prepare a wine room in Orange County and Los Angeles for refrigeration unit installation. They are partners with various wine storage dealers that specialize in the construction of wine cellars that can readily support a cooling unit. These dealers are highly experienced in installing insulation, vapor barriers, electrical wirings, and drain lines. Contact an expert today for more information about their services at +1 (323) 578-3330. 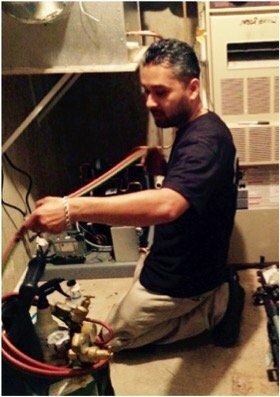 Mario Morales of M&M Cellar Systems is an expert wine cellar cooling installation professional with many years of experience in handling various types of units. Find out the other services that are offered by M&M Cellars by clicking here! This type of refrigeration equipment has the simplest configuration. It is easiest to install, because it basically is mounted on a hole in the cellar wall that is approximately the same size as the unit itself. This kind of unit can usually be installed without a professional, but it is still best to ask advice from an HVAC technician, so that you can be sure that the piece of equipment is properly setup. ducted into the cellar or hot air can be ducted away from the unit and/or wine room. Consult a cooling expert to get help on the best way to setup a ducted refrigeration unit in your cellar. Split cooling units are similarly installed to central air conditioning systems. The evaporator is setup inside or near the wine cellar while the condenser is situated in an adjacent room. These 2 components are connected through a line set. Only a licensed HVAC professional is strictly allowed to install this kind of equipment. Whether it’s a through the wall system, a ducted unit, or a split type equipment, hiring a trusted cooling installation expert can ensure that the wine room cooler will function effectively. M&M Cellar’s professional HVAC technicians can help make sure that a unit, regardless what type, is installed correctly. M&M Cellar Systems is a trusted cooling equipment dealer in California that provides installation, maintenance and repair services. Learn more about M&M Cellar Systems by clicking here! Proper installation of a cooling unit is only the first step of making sure that the cellar is functional. Regular maintenance has to be performed in order to make sure that the refrigeration system continues to function as it should. Scheduled inspection is also necessary to detect any concealed problems and have them addressed promptly. Contact a top-notch installation contractor that only builds and services wine cellar coolers!